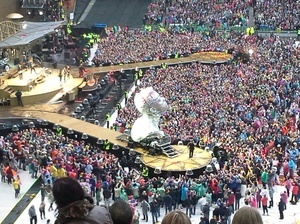 Lansdowne Road, Dublin, this evening. Our ticket from earlier has gone. Just gave the ticket to ‘madbid’ (the only person asking for a ticket), I ll take it Robbie is not as popular as he once was…. 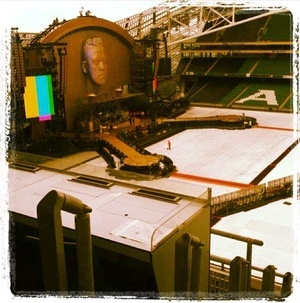 Posted in Misc and tagged Robbie Williams at 5:51 pm on June 14, 2013 by Broadsheet.